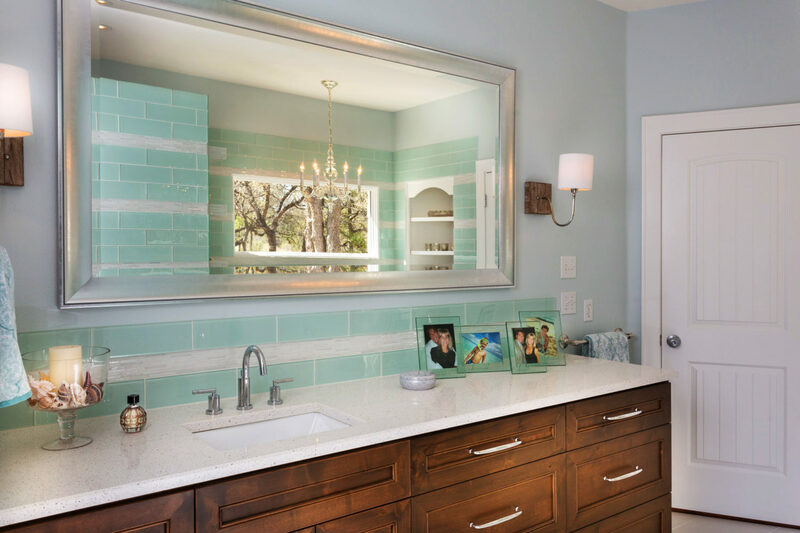 A costal inspired kitchen and master bathroom remodel reflect cool, calm tones and unique combination of textures. 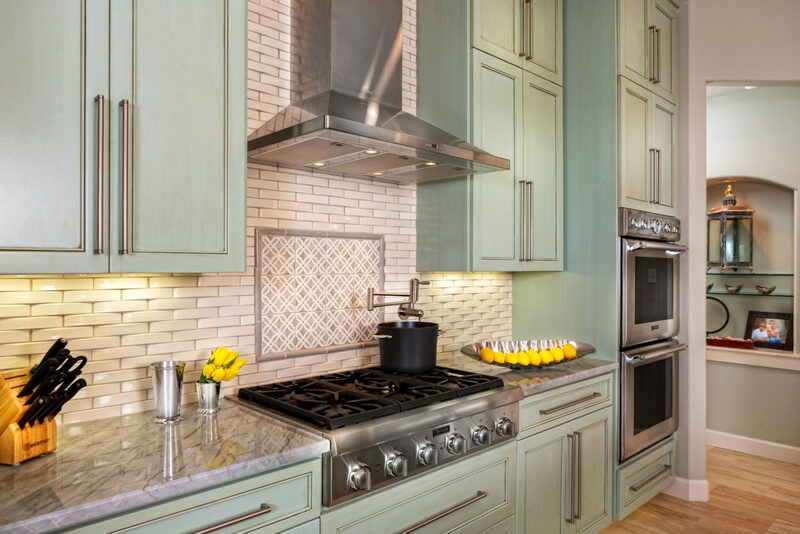 The kitchen cabinets bring a fresh color to the space and contrast to the convex basket weave backsplash. 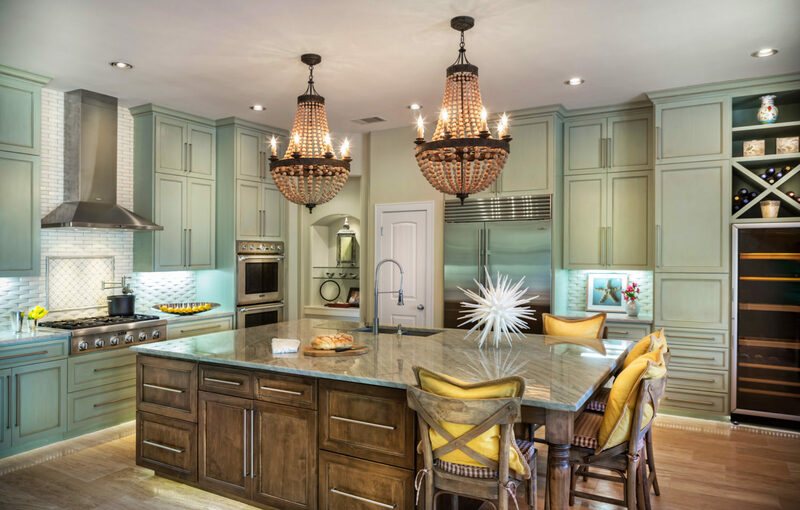 Quartzite countertops and wooden beaded chandeliers highlight the kitchen remodel. 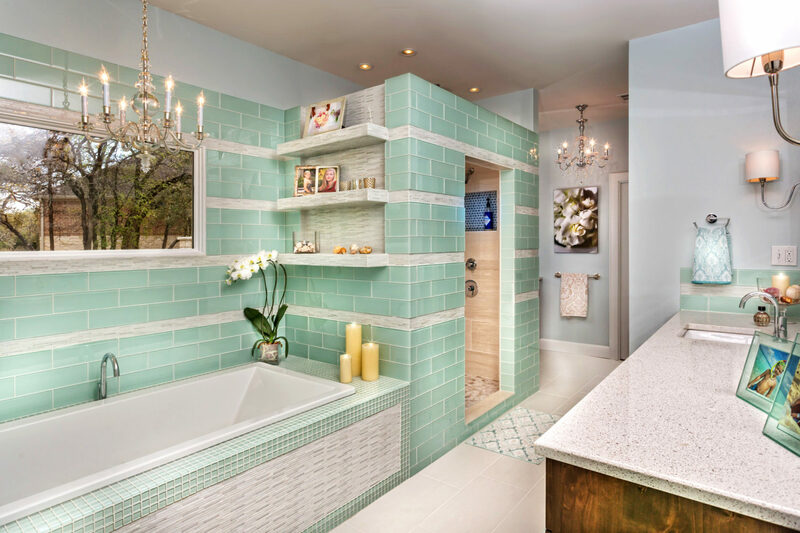 The master bathroom transformation reflects a costal spa feeling, with floor to ceiling glass tile, mosaic tile accents, a combination of wood and painted vanities. 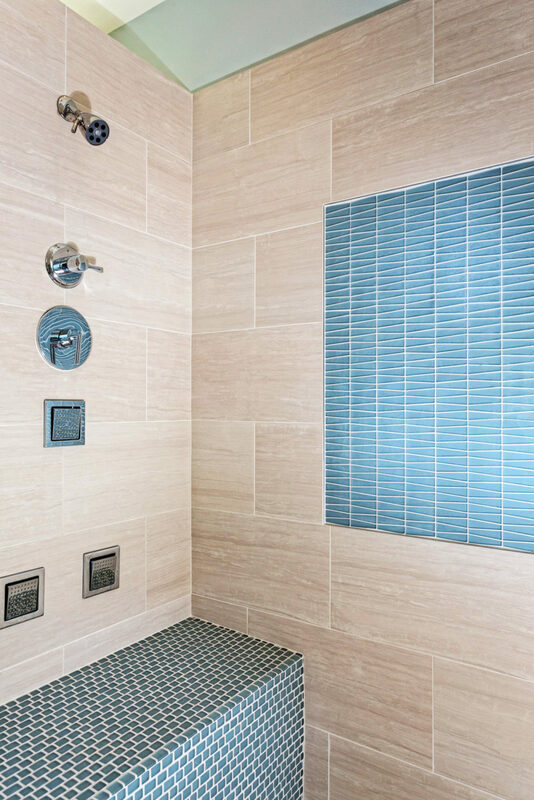 The interior design successfully speaks to clean lines, cool tones and textural finishes. 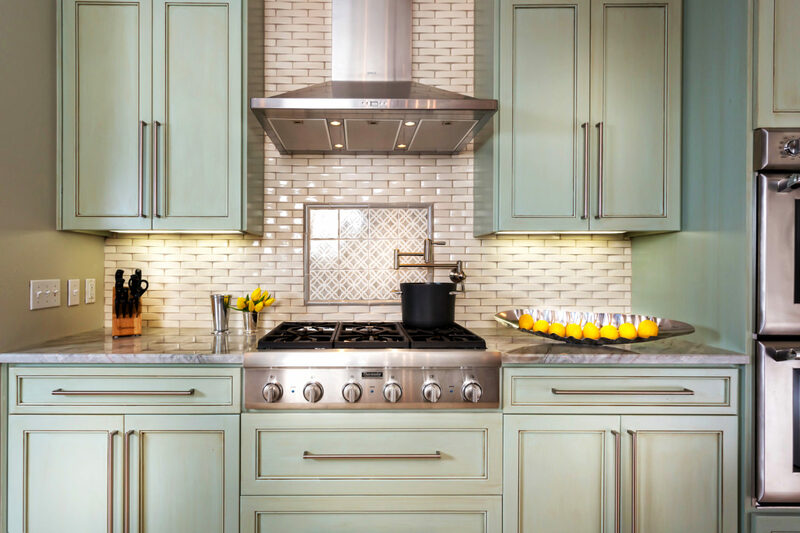 Gingerwood was hired to remodel kitchen and master bath as well as choosing pieces of furniture and accents. Amanda was extremely on task in focusing on the coastal feel I was looking for. I would recommend this company to my friends, Mark and I were extremely pleased!